ICEC 2016, the 18th International Conference on Electronic Commerce, is held in conjunction with SmartConnected.World 2016, which will deal with major emerging issues from innovative changes, social, economic, cultural and industrial aspects. This conference will engage the people from leading companies with innovative ideas that can move the world, startups with outstanding technology, government agencies and universities. 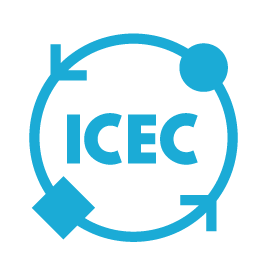 The final program of ICEC 2016 is now announced! 2016년 8월 17일-19일까지 수원 노보텔 앰배서더에서 개최되는 ICEC 2016 (제 18회 국제전자상거래학술대회)는 특별히, SmartConnected.World 2016과 공동으로 개최됩니다. 스마트 커넥티드 월드 2016은 세계를 긍정적으로 변화시키는 인공지능 기술과 사물인터넷 기술 등 최신 스마트 커넥티드 기술과 이에 따른 세계의 변화를 논의하는 국제 포럼입니다. 세계 각국에서 초청된 50여명의 석학과 산업 전문가, 국내의 수백명의 학자와 산업전문가들이 모여 인공지능, 사물인터넷, 전자상거래 등에 대하여 발표하고 논의합니다. SmartConnected.World는 2016년 올해 처음 개최되며, 매해 개최될 것입니다. 올해는 제18회 국제 전자상거래 학술대회(International Conference on Electronic Commerce), 한국지능정보시스템 학술대회와 공동 개최되어 30여건의 기조 발표, 30여건의 Hands-On 튜토리얼 발표, 80여편의 논문이 발표됩니다. Posted in Uncategorized on March 6, 2017 by icec2014.